Agee had stumbled upon a facebook post of her former high school classmate, Anna Tan sharing a picture of a gorgeous pair of classic Oxford Wingtips with some light broguing. “You should take a look at this” she told me. So I clicked, then the picture directed me to the facebook page of Black Wing Shoes which was a very simple and unassuming page obtaining a couple of hundred likes. There was a whole variety of shoes- captoes, side wings, oxfords, brogues, monks, double monks and many more. There were even some chukka boots and topsiders, but it was mostly the leather and formal pairs that were being showcased. The pictures were simple, almost amateur, but perfunctory enough to capture the craftsmanship and the detail that went into each pair. The descriptions attached to the photos were curt, simple, unassuming and finished with that hashtag: #MadeInMarikina. This is what REALLY caught my attention. I’m sure a lot of people my age, born in the early 80s, were too young to really comprehend the legend that is Marikina. I’ve heard it countless times from stories of my Dad and my Lolo. I was born closer to People Power, you see, so I was lucky enough to have escaped the darkness of Martial Law. But the legend started much earlier, when the Marcoses were in their full bloom. Marikina was one of the many “projects” associated with the First Lady. Imelda Marcos, known to be offensively vocal in her support for Filipino crafts, created the conditions so that the city and her skillful Marikenyos were showcased to the world. She would personally wear these #madeinmarikina shoes to all of her international and state affairs and would get praised for its beauty and craftsmanship, which she’d respond by crediting the talent of the Marikenyos. Generations later, she would be known for her record-breaking collection of shoes, and eventually be criticised for her oppulence. Documentaries, Broadway Musicals and Films would eventually be made about and around this legend- Imelda and her thousands of Marikina-made shoes. These objects of beauty, skill and unquestionable Filipino talent, would also be the object of hate for thousands of Filipinos demanding their democratic freedom from a relentless dictator. It’s so tragic it’s almost Shakespearean. But to me, The World Class Shoes of Marikina is just another legend. Just like the legend of a clean Pasig River, a bustling cosmopolitan Escolta, a hip and happening Malate, the idyllic hills of San Juan and a traffic-free Edsa. It’s another sentimental story told to kids like me so that we wouldn’t be too disappointed with the present state of our country. Marikina City is no longer about the world-class craftsmanship and the mind-blowing bespoke skills handed down from generation to generation. Marikina is no longer about the shoes. Marikina is now the City with the bright pink and blue pedestrian footbridges. It’s now the City with that giant SM Mall by the riverbanks. It is now the City that needs to be evacuated year after year when the Typhoon season comes for fear of losing homes, businesses and lives to the uncontrollable floods. 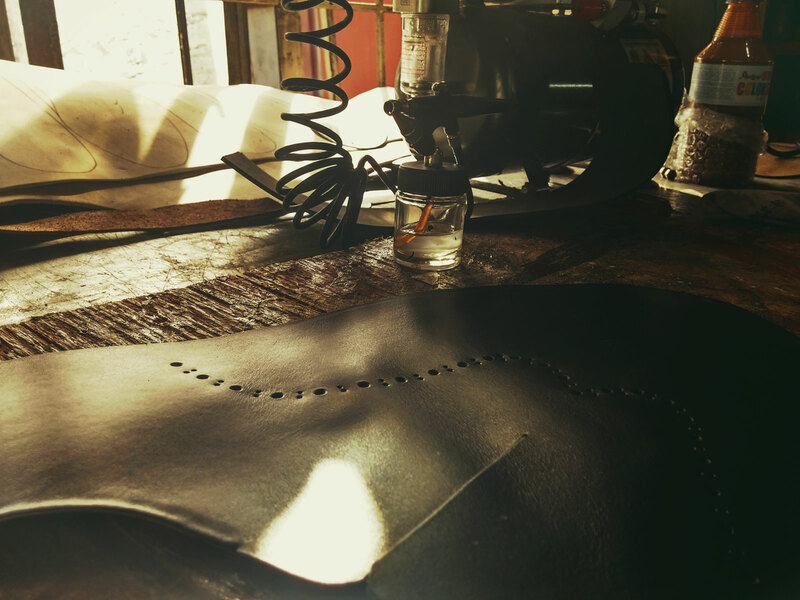 So you can see how the artisan days of Marikina filled with talented shoemakers and bag makers, can be dismissed as cute fairy tale. To me, and to many like me, it is but another legend. But then there’s Buddy; Alain to most but Buddy to some. A 30 year old Chinese- Filipino Ateneo graduate who is owner and shoemaker in his small business called Black Wing Shoes. I sent him a message on Facebook to inquire and he quickly responded inviting me to come over to his “shop” in Marikina. It had been a long time since I was last in Marikina. I hadn’t gone back since my UP Dragonboat training days in college. I distinctly remember the ever-so-loveable “burak” or dirt soil that we needed to sink knee deep into in order to alight our boat. I also remember a giant monument of a Stiletto floating near our docking area which served as our starting and ending point. I remember the Riverbanks Mall, Tapsi ni Vivian and Sta. Lucia. But other than that, I wouldn’t say I was comfortable maneuvering my way around the city. Buddy had to give me very distinct instructions to get to his shop, as it wasn’t your usual brick and mortar store with a fancy label on the door. It was far from it. Through the winding streets of Marikina, I found his store front. It was a very humble and almost garage-like space, with giant sheets of rubber rolled and hung. A welcoming fellow in a casual shirt and shorts met me and brought me inside his even more unassuming office. “Nice Shoes” I said, “Thanks, It’s a design I’m trying out” Buddy acknowledged. These were a pair of blue suede sneakers that had a rubber sole, a wingtip design and yes, some broguing. His office was a mess, and I absolutely loved it. It was that organised kind of mess akin to an artist’s workspace. It had patches of leather samples on his desk, shoe prototypes piled onto a shelf, sheets of paper filling scattered around, a computer, a notebook with some sketches and far too little space to entertain guests. He didn’t apologise for any of this, and he didn’t need to. He was accomodating, and eager to tell his story had he not been interrupted by his employees that go in and out of his office for some business. He was, afterall, running a machine of an operation. Buddy runs a manufacturing business marketing low-cost sandals which focuses on fast turnovers and at a very high volume. At this point, I knew Buddy was someone special. As soon as I could, I first asked him how he came about making shoes. “I wanted to find another business model which was less frantic so I decided to move up the price bracket to earn more per pair sold.” He said. 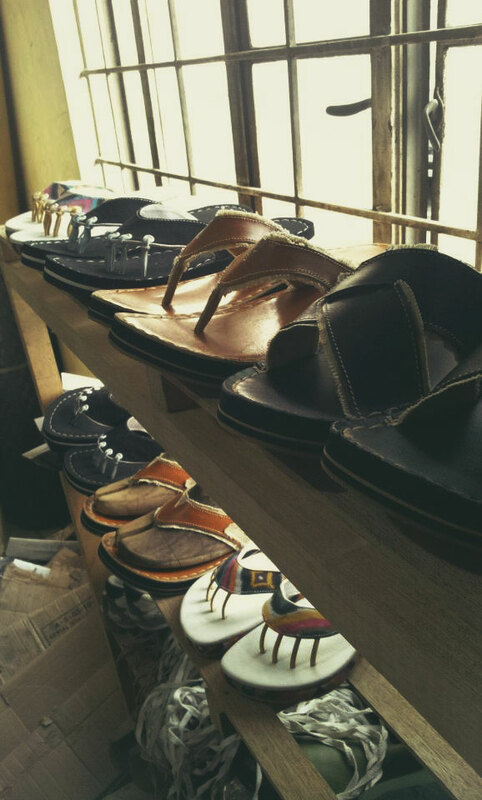 He then moved into making leather sandals to sell in Bazaars, until a client had comissioned him to make a pair of shoes based on references he had given Buddy. He started out like most of the workshops in Marikina- making shoes wholesale. Over the years, the Marikina shoe business needed to compete with the fast import rates of foreign brands through malls and commercial areas. 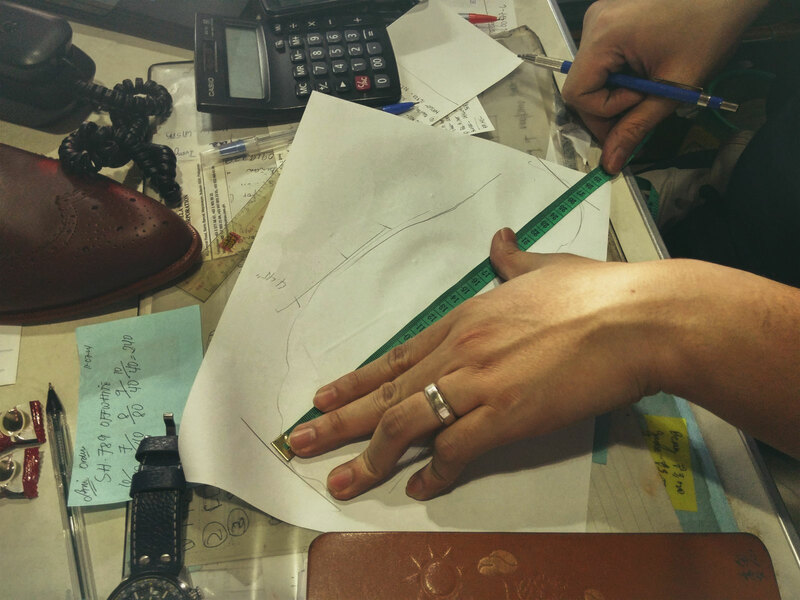 Soon, the manufacturing in Marikina became an assembly line of very isolated and specific skills veering away from the slow and painstaking process of the truly bespoke shoe. 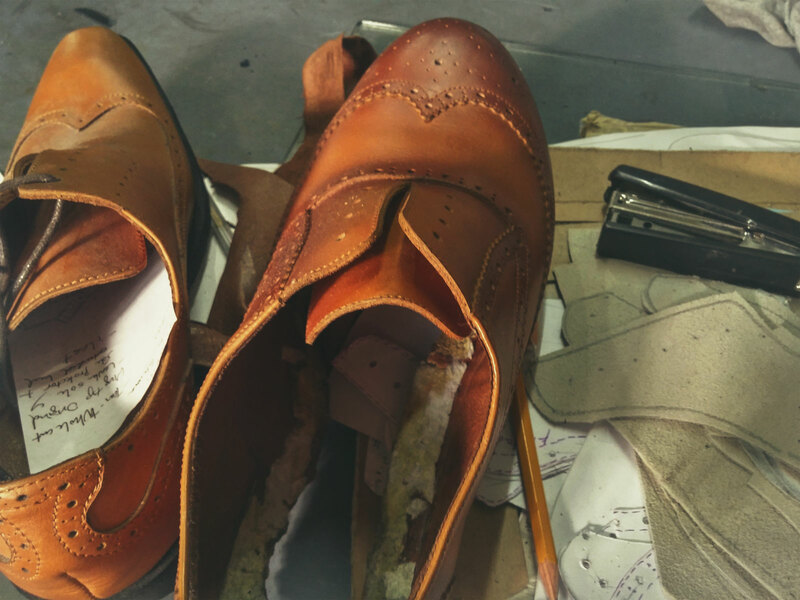 “There are very few master-shoemakers now, the older ones have failed to pass on the art, and the younger ones know only a part of the process.” Buddy explains. But one can’t really blame the craftsmen since they get paid per pair- so the quicker and more pairs they make, the more money they can take home. Quality is naturally the first thing trimmed. 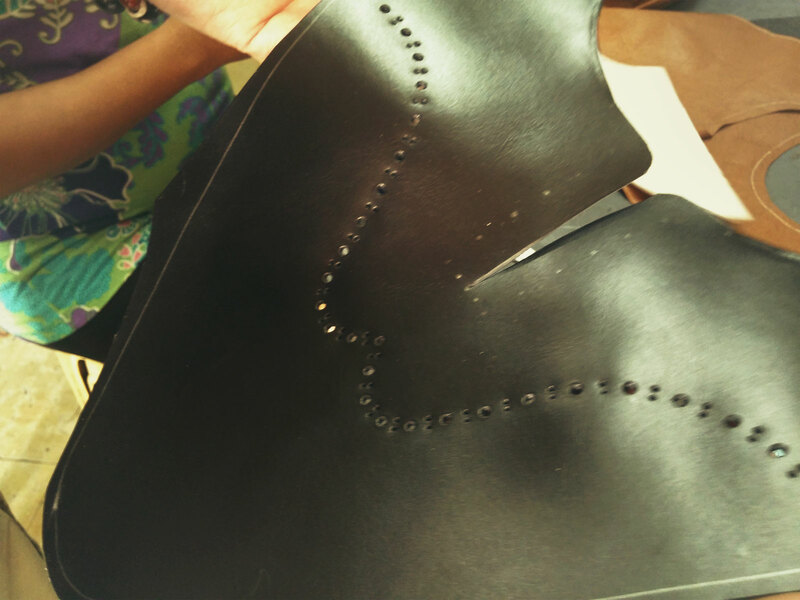 Soon, Buddy had put up a shoe making workshop as his mini-project. 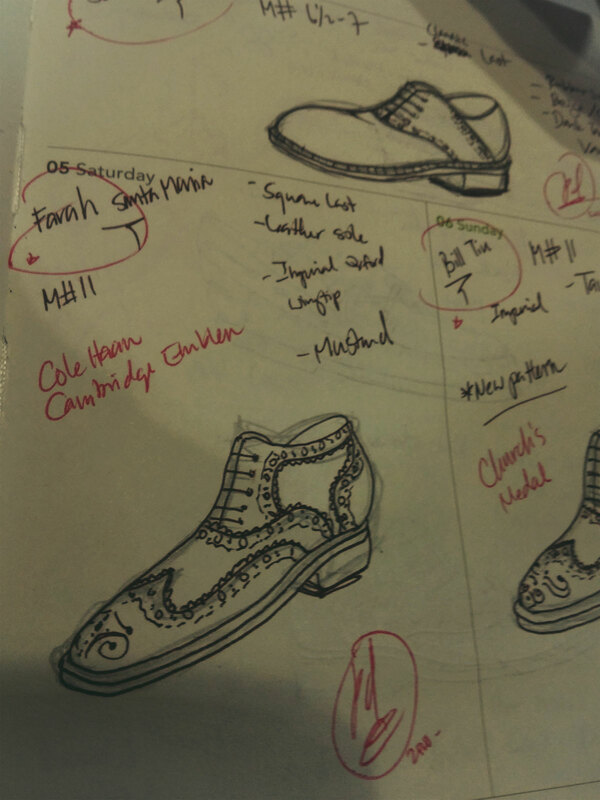 And what better way to put his own workshop to the test than by creating one of the most important shoes of his life… the pair he’d wear on his wedding day. The shoe last for this pair was the very first last he had developed. From then on, he decided to take custom-made orders from his and Anna’s immdediate friends. Buddy tells me that he had always been fond of shoes, but it was upon his wife Anna’s perusal that he decided to put up Black Wing Shoes. “Andito na rin ako sa Marikina, might as well learn.” he expresses. 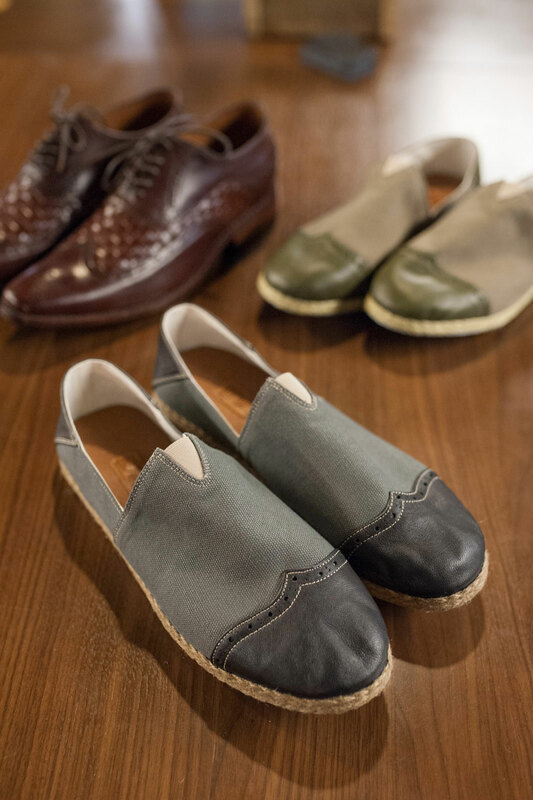 This is what makes Buddy even more respectable- not only does he own a business, he makes the shoe himself. 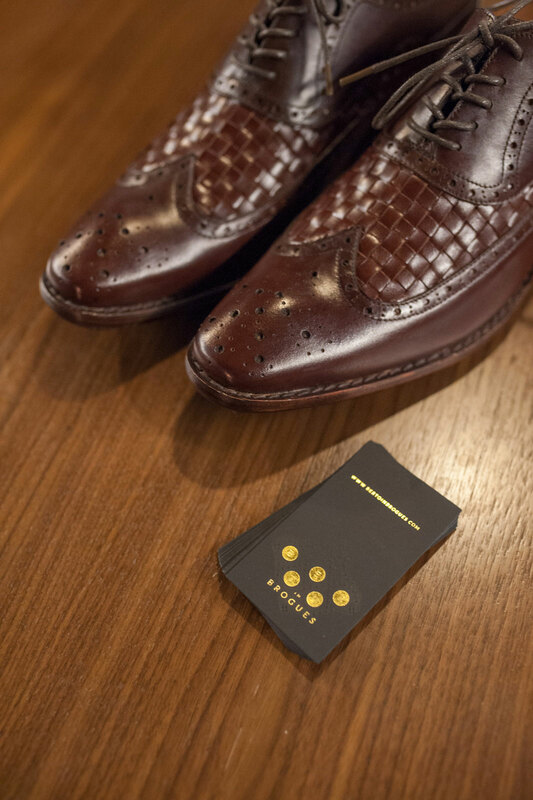 He learned the entire process from creating a last to finally burnishing the shoe, and, for even more good measure, he personally engraves the wooden sole for special occasions. After our little chat in his office, he took me to his warehouse, where even more rubber sheets are rolled and hung. 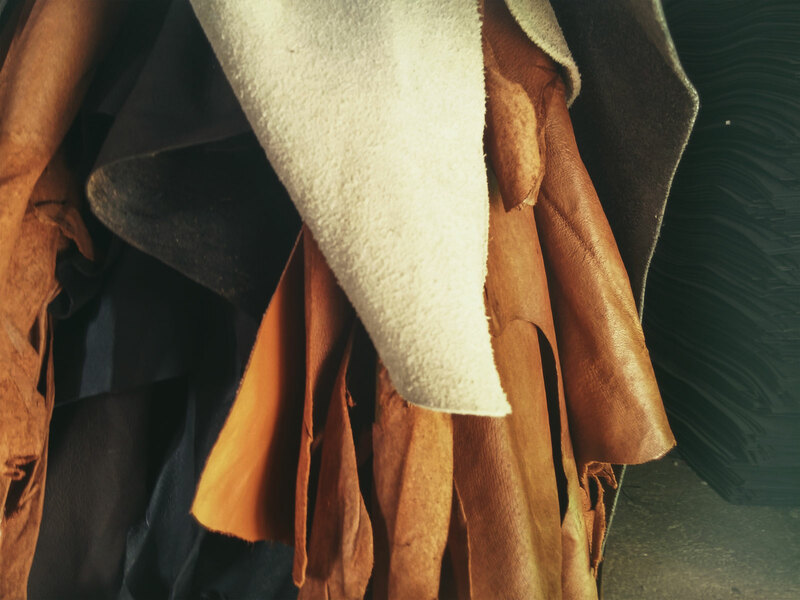 But in a corner of this space, I see leather sheets, straight off a cow’s back hide in different tans and colours. Some leathers were black, others were brown and some in rich blues and mahogany. 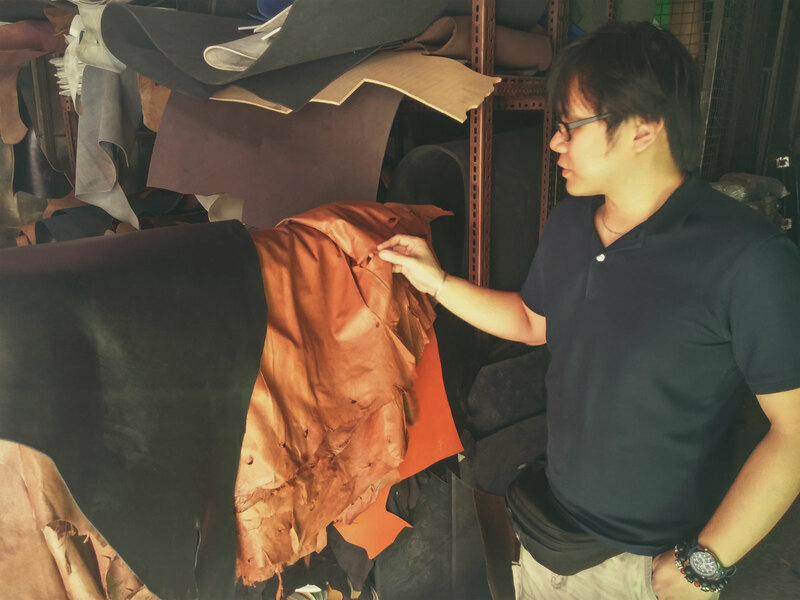 Buddy explains that these are local leathers he acquires from Bulacan, and began to show me some of the branding marks as proof this skin once belonged to a cow. “This is the workshop, this isn’t my main business, so I really get to play and have fun with Black Wing. I’ve employed the craftsmen so that they are not forced to rush the pieces.” He told me, as he introduced me to his very small staff. They looked up from their stations, smiled warm smiles, and went back to work- stitching, hammering, polishing, and other fine shoe-making activities that were hard to understand but amazing to watch. He walked me through each of the stations explaining in infinite detail what each craftsman was doing. At one point, his explanation was far too filled with shoemaker-jargon, he totally lost me. I was confused, but I was also very amazed. I pick up a loose leather piece that had just been brogued. 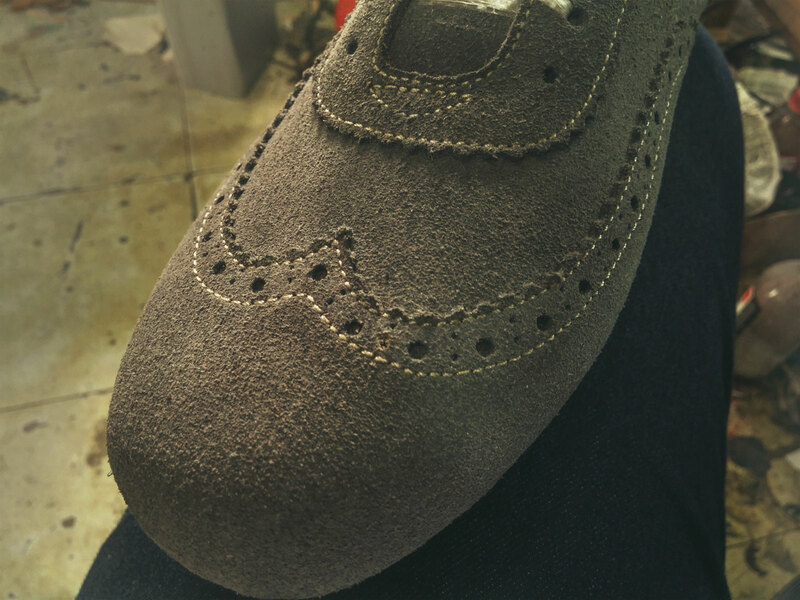 “We don’t have the broguing machine, so all of our brogues are hand pierced one by one.” He said matter-of-factly. Buddy was candid and honest, not calling attention to himself. But what he didn’t realise was that he was doing something so special and noble. He was giving a living for these 6 or 8 craftsmen, who would’ve probably had a hard time finding a job anywhere else. He was also elevating the taste and quality of the market by bringing in his own personal standards and quality. What he didn’t realise was that he was bringing back the legacy of Marikina. Buddy says that the most expensive part of the shoe is the leathers, but the experience makes it priceless. 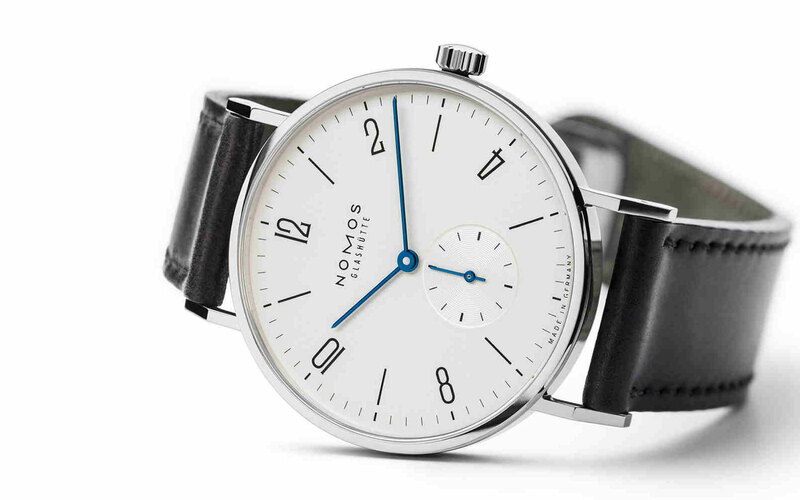 I asked about this “trend” of going back to the bespoke methods and why he thinks slow-fashion is becoming popular again. 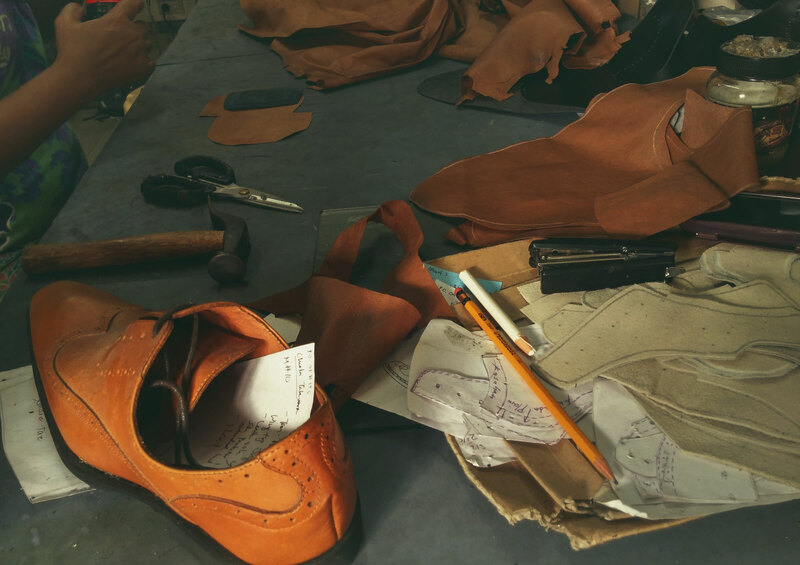 “In this time where consumerism is prevalent, the experience and responsibility of owning a pair of handcrafted leather shoes is what gives it value. Real shoes are meant to last. Leather shoes represent the wearer. Some shoes are flashy but you really cant wear them anywhere else because they are too fragile, but real shoes can take a beating then get repaired and reconditioned for more use. The beauty and value of an object is only realized when it fulfills its purpose.” He said. 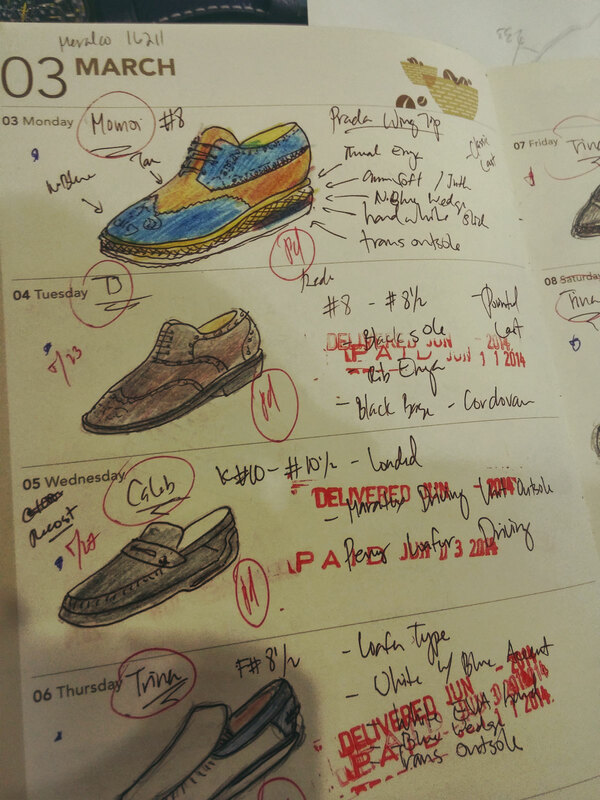 He then shows me his calendar filled with names of different men and a colored sketch of their shoe design. He renders them with color pencils and tells me that he enjoys the very analog way of designing. For my formal pairs (a black one a brown one), I told Buddy to go crazy with the design. Something he’s never done before but always wanted to do. I didn’t want him to copy anything as I explained that Berto in Brogues was all about the Filipino gentleman. I told him I wanted to showcase him and his shop everytime I wore the pair. Coincidentally, Buddy tells me that he’s always wanted to make a shoe that was truly Filipino, one that best embodied our characteristics and personality. I left Buddy’s shop with a handshake and a million things running through my brain. I thought about how exciting it was to see Buddy’s original design. I thought about how more people should know about what this guy is doing and why he is doing it. I thought about how great a contribution he is to Marikina’s history and legacy and I thought about how lucky I was to have engaged such a man who brings legends to reality.